Antec Inc., leading provider of high-performance computer components and accessories for the gaming, PC upgrade and Do-It-Yourself market, shows off a new angle of innovation: the new open-frame chassis “Torque” is now commercially available. 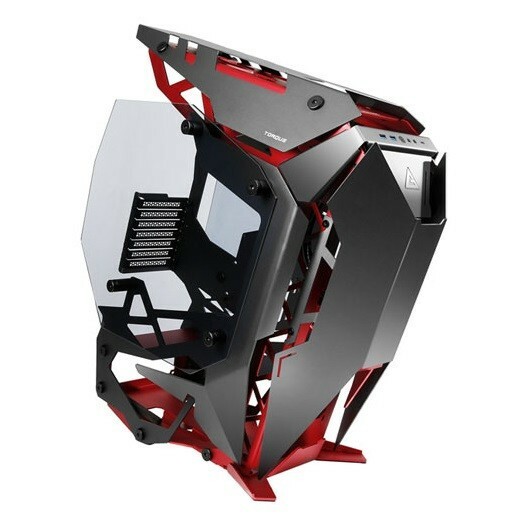 Comprised of 14 precisely cut aluminum panels in high contrast crimson and titanium, Antec’s latest case features 4 mm tempered glass side panels for unrivaled performance and style. Torque is entirely open-air, with vast airflow and cooling management measures in place so that form and function are in perfect alignment. The chassis measures 621 x 285 x 644 mm (DxWxH) and is compatible with ATX, Micro-ATX and ITX motherboards. Torque is comprised of 14 aluminum panels crafted by high precision CNC digital cutting to ensure perfection in every curve and edge. The high quality anodized aluminum panels are corrosion resistant, for unrivaled durability. 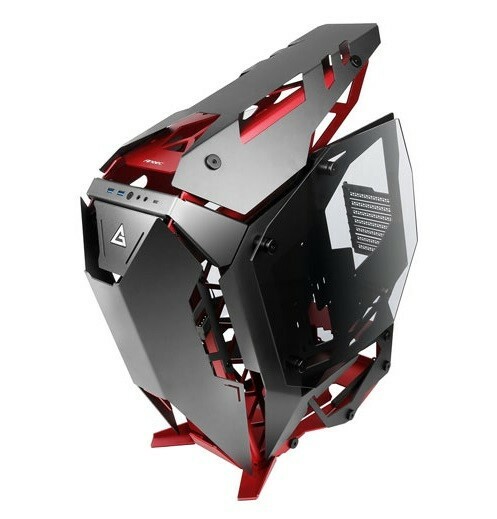 In terms of cooling, the case offers space for three 120 mm in the front and three 120 mm at the top. 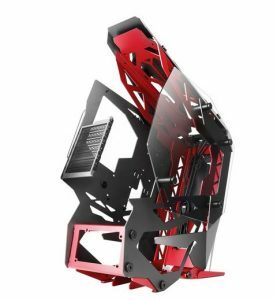 For extra water-cooling, the chassis allows to install a 360 mm radiator at the front and top of the chassis. Topped with a hinged aluminum cockpit, Torque enables easy access to the top radiator. Torque’s bold styling fused with high-end hardware support guarantees an unbeaten experience for builders and enthusiasts. The hard drive mounting system boasts one 2.5″ and one 3.5″ HDD drive cage and seven expansion slots. The front bezel allows access to two USB 3.0 ports, POWER button as well as MIC/HD AUDIO jacks. 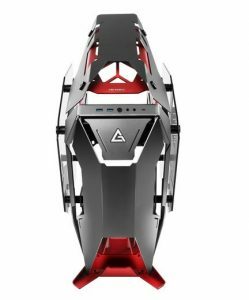 The case supports USB 3.1 Type-C Gen2, allowing users to enjoy higher data transfer speeds and compatibility with next-gen peripherals.